The visual nature of the technology used in this research, as well as its focus on the study of a fascinating marine mammal, provides an ideal vehicle for math and science education for young people. 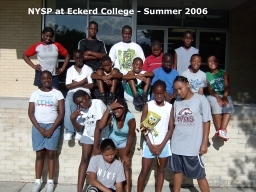 For the past six years, Eckerd College has participated as a host institution for the National Youth Sports Program (NYSP). 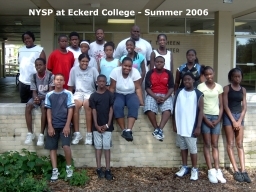 NYSP enables youth from low-income families to enhance the quality of their live s through active participation in sports and educational activities. 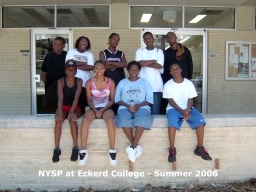 Each year, the Eckerd NYSP program serves bewteen 250 and 300 participants, between the ages of ten and sixteen. Most of the students are African-American. 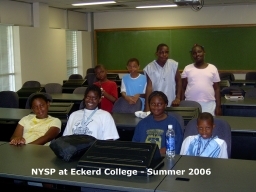 As an NYSP institution approved for math and science education, Eckerd College c urrently provides a portion of hands-on class sessions which focus on these topics. 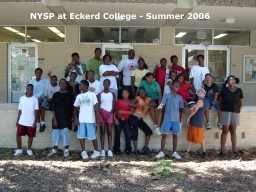 In cooperation with the Eckerd College NYSP program, Professor Kelly Debure developed and conducted a one-hour hands-on educational laboratory experience to introduce basic mathematical computations in the context of digital imaging. 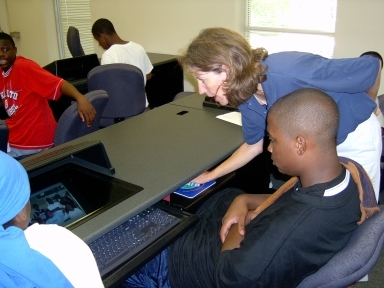 In a computer laboratory on the Eckerd campus, the students learned how digital images are represented in the computer. 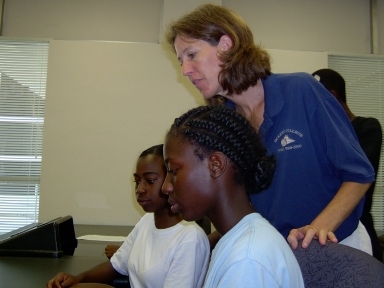 They learned about the representation of color in the computer, and the differences bewteen additive color (emitted light) and subtractive color (reflected light). 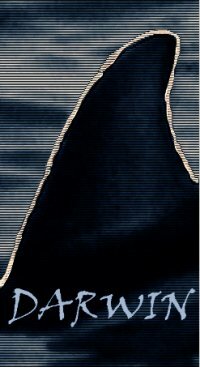 They used the GNU Image Manipulation Program to experiment with color on the computer. 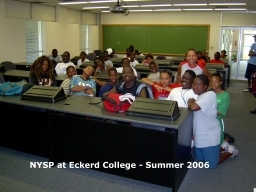 NYSP Students in the computer laboratory learning to use the GNU Image Manipulation Program. They also learned about the mathematics behind basic imaging modifications, such as the creation of a digital negative, brightness adjustment, contrast enhancement and the use of digital filters to create special effects such as embossing. We took photos of each group of students and they used the images to explore other special effects possible with digital imaging software. 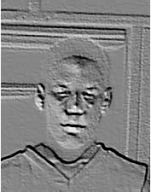 Left to right: Digital negative, brightness and contrast increase (before and after) and use of digital filtering to achieve an embossed effect. 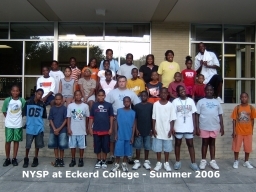 The younger students experimented with using a digital camera as some had no previous experience with digital media. 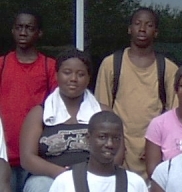 Some of the older students learned how to "clone" areas of a digital image to remove unwanted features from an image. 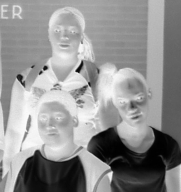 All of the students seemed to enjoy learning how to use basic cut and paste utilities to paste the face of one student over another, creating "digital twins" in the class photos. Next year, the hands-on class sessions will review some of the material from this year, and introduce new concepts such as image resolution and aliasing. An additional course module will be developed to present the use of imaging techniques for the identification of dolphins. Students will have an opportunity for more hands-on experiences using the software developed under this grant, to identify individual dolphins from digital photographs taken in the wild. 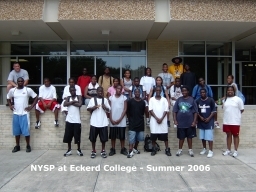 In 2006, the course module was delivered to approximately 175 students from the NYSP program in eight groups over a two day period.